TAKE A LOOK AT OUR COMMUNITY! 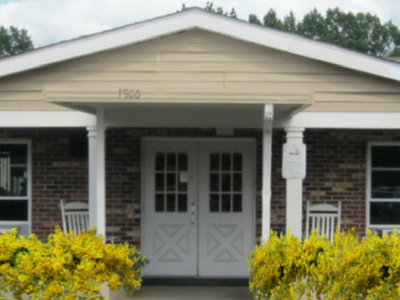 Integrity Healthcare of Herrin has transitioned to a beautifully decorated facility, which houses those suffering from memory deficit related disease processes. Local artist, Christine Deshazo, created customized murals depicting cozy cottages in friendly neighborhoods, scenes of lake shores, vistas of sprawling farms and vintage trains … all to assist our residents find their way. When your loved one is no longer safe in their home or when their care-giver is at risk, it is time to seek the structure provided by Treasures of Time. Don’t feel guilty. Just contact us. our Treasures of Time programming are the answers you need. We are Integrity. We are Care You Can Trust. Joyce Newsome, the Director of Nursing at Integrity Healthcare of Herrin has been a nurse for 26 years and a Registered Nurse for 15 of those years. 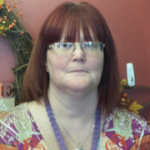 Her experience has been in a hospital setting, as well as, in long term care. She loves working with the elderly. Joyce is an excellent leader for a variety of reasons. Her long-time experience and her love and compassion for the residents makes her very good at her job. She is easy to talk to and she works hard to find solutions for all issues, big and small. She makes herself accessible to her team 24/7 and that means that families and residents will never hear “we’ll have to wait until tomorrow” and that certainly helps her team provide the Care You Can Trust. Integrity Healthcare of Herrin accepts residents and renders services to individuals without regard to race, color or national origin.